Here's what to expect when Nintendo goes live at 11PM ET. Nintendo revealed the Switch, its latest console, back in October -- but the company left out plenty of key details about the half-portable, half-living room system. So, that's what tonight is all about. Nintendo will host a live stream at 11P ET on Thursday, January 12th, intended to outline more of the features, hardware specs and games coming to the Switch when it lands in March. First up, the price. Nintendo hasn't indicated how much the Switch will cost, but Japanese news organization Nikkei predicts it will hit shelves at less than $250, at least in Japan. Nintendo is traditionally on the lower end of the spectrum when it comes to new console prices. The Wii U, for instance, cost $300 in the US at launch -- compare that with the Xbox One, which debuted at $500, or the PlayStation 4, which premiered at $400. Next, the games. Nintendo has kept a tight lid on the software lineup it has planned for the Switch's release, though we do know a few titles that are definitely coming to the new console. The Switch will get The Legend of Zelda: Breath of the Wild at launch, plus Shovel Knight, Yooka-Laylee, Stardew Valley, Rime, Project Sonic 2017 and possibly even a full Pokémon game -- that would be a first for a living room console. Nintendo showed off a handful of titles in the initial Switch sizzle reel, including an updated Splatoon, NBA 2K, a 3D Mario game, new Mario Kart and Skyrim. However, the company has yet to officially announce these titles for the Switch. Tonight might just be the time to do so. Plus, there's the looming possibility that the Switch will support vintage GameCube games via the Virtual Console system, something that fans have been clamoring for over the past few video game generations. And then there's the hardware. Nintendo hasn't detailed all of the features of the console, which pulls apart to become a mobile system complete with portable controllers. They might even be motion controllers -- perhaps Nintendo will set the record straight in tonight's live stream. 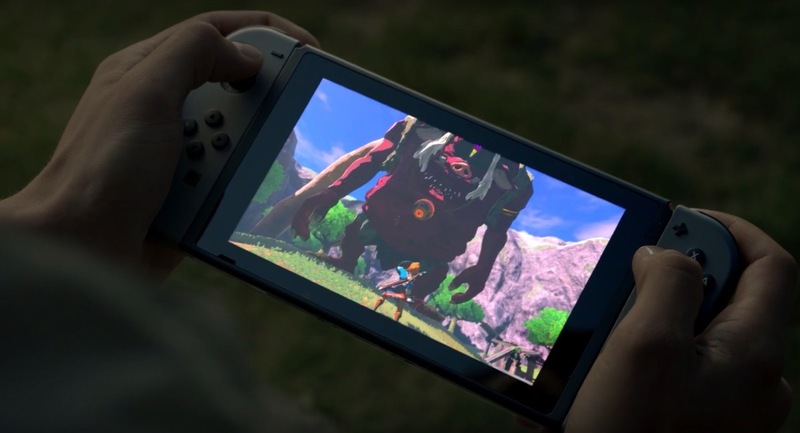 Overall, it remains unclear how Nintendo plans to position the Switch, whether as a living room console that can go mobile, or as a mobile console that can be used in the living room. Or, maybe as neither. Nintendo generally zigs while the rest of the video game industry zags -- with mixed results. The Wii was a sleeper hit that changed the way the industry viewed "casual" and motion-sensing gaming, while its successor, the Wii U, was a flop. Nintendo is also diving into the world of smartphone gaming, after years of denying any interest in that space. It's a period of change for Nintendo -- the Switch is its first big console release after the death of beloved CEO Satoru Iwata. See what the company has in store for longtime fans and fiends alike tonight at 11PM ET, right here.